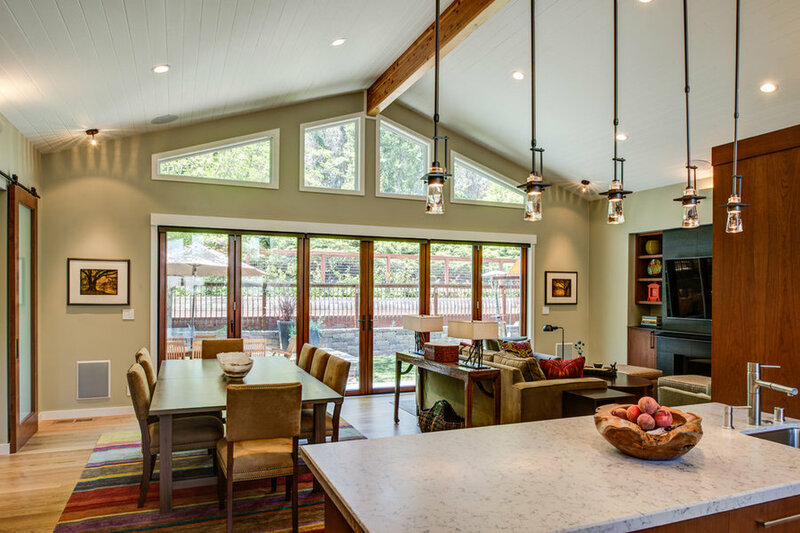 After searching for a new house, the clients chose instead to add on to their existing California Ranch home. 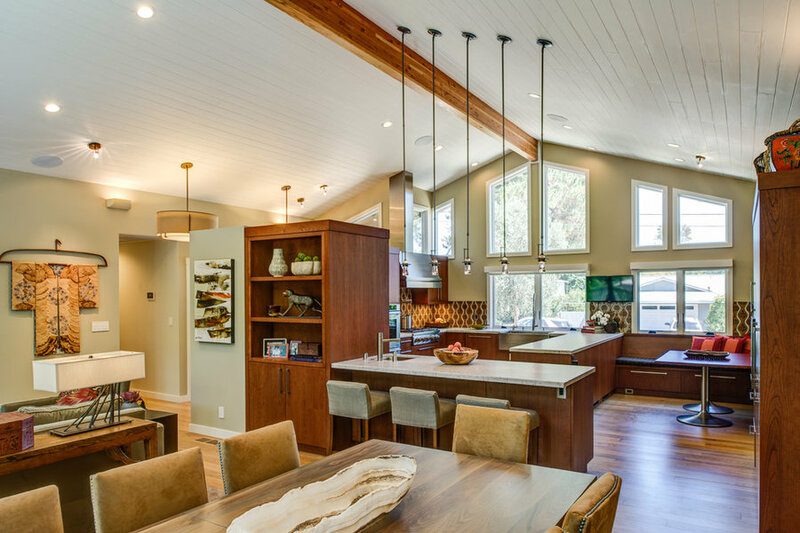 The ground-up remodel provided much needed space for a family that loves to cook and entertain. A Nana Wall opens the great room to the outdoor dining area, complete with Bocci ball court. 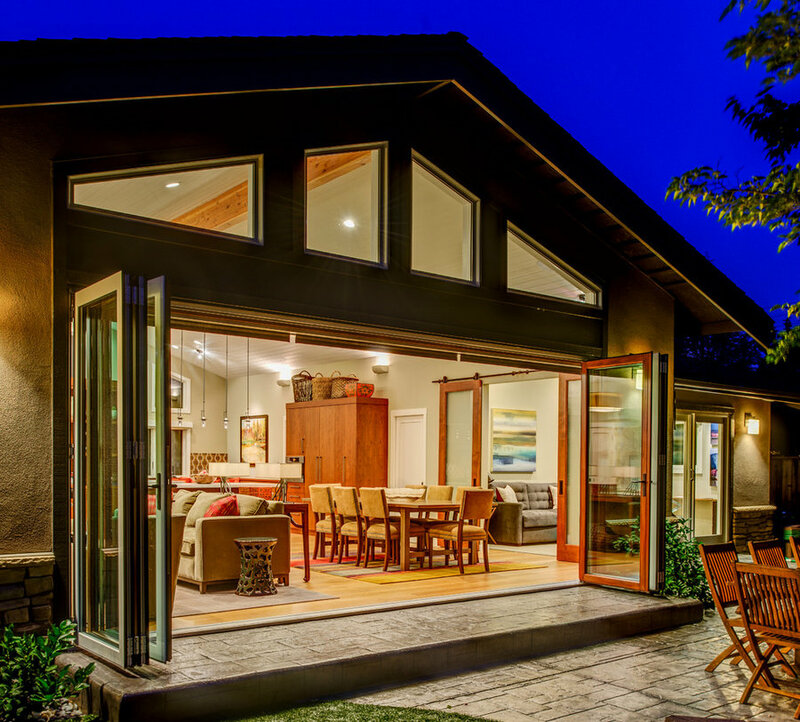 Sliding glass, custom barn doors echo the entry doors, and isolate the home office during intimate dining. 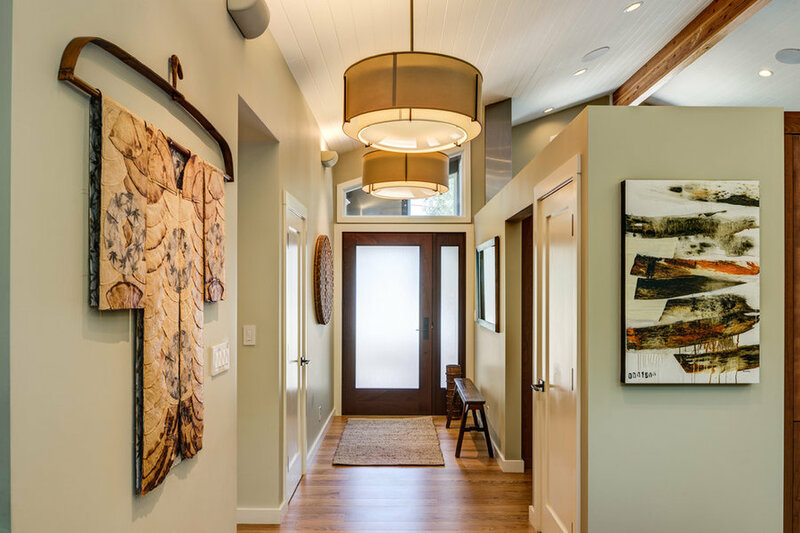 Custom glass doors flood the entryway with natural light. 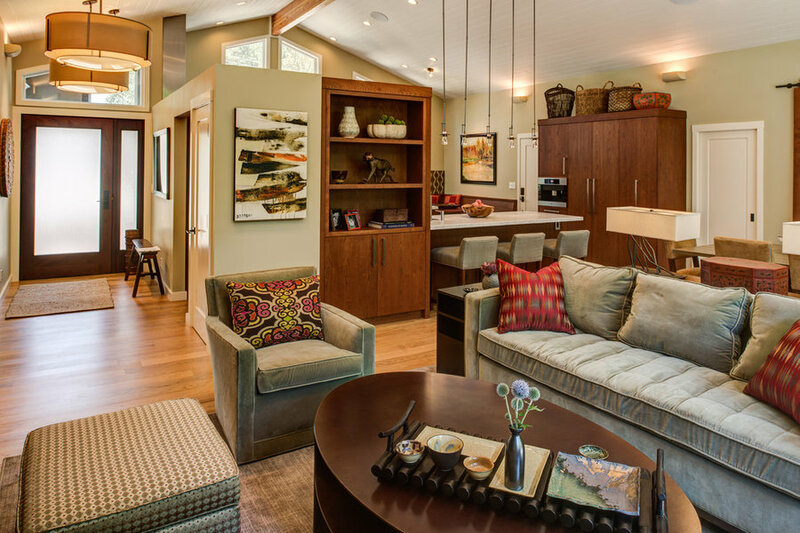 Custom furnishings accented with colorful pillows create a cozy living area in the great room. 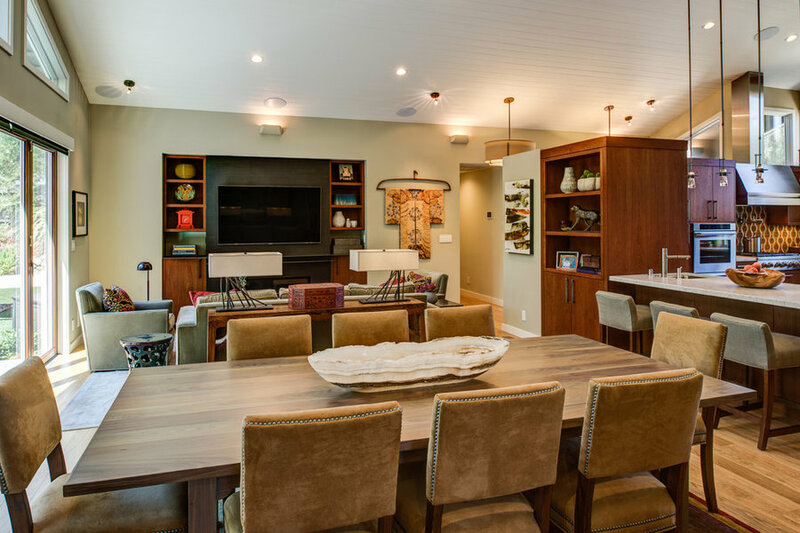 Once a small galley kitchen, we removed the existing walls and reconfigured the floor plan to integrate the kitchen with the great room. 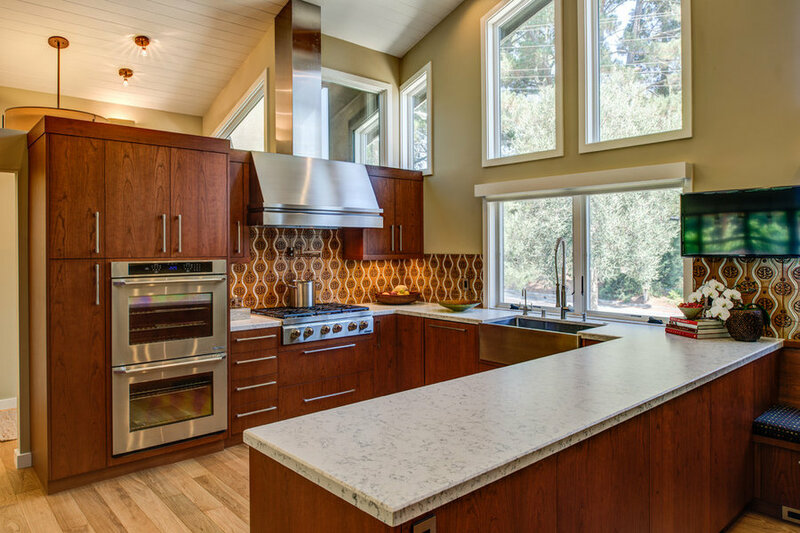 Fun, Asian-inspired custom tile complements the cherry cabinetry and sueded Silestone countertops. Custom steel, tile, and cherry media center minimizes the visual impact of a large screen TV over a gas burning fireplace. A live edge walnut plank provides an organic desktop – for work or study – in a very narrow space. 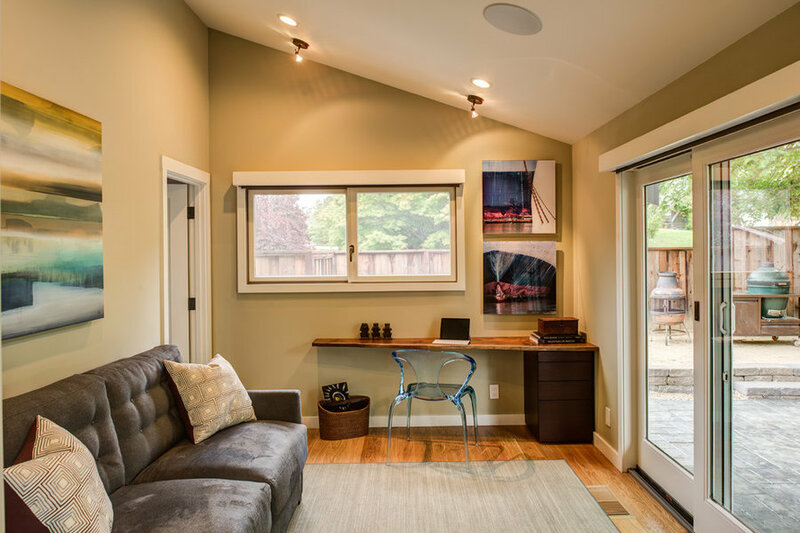 Opening onto the back patio, the home office doubles as a guest room. 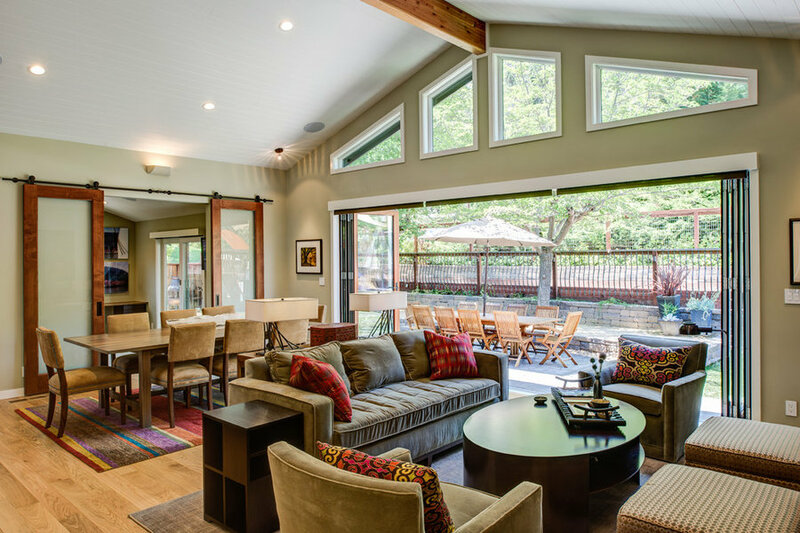 An expansive Nana Wall opens the great room to a large patio. Teak furnishings for lounging and al fresco dining, and a Bocci ball court for fun, completes the indoor-outdoor living integration.